What Do Bail Enforcement Agents (Bounty Hunters) Do? We were asked a bail question about bail and what Bail Enforcement Agents do and how to find a job as a bounty hunter. When someone you know is out on bail, they must follow all conditions of that bond, or they can be apprehended and placed back into jail. One of the conditions of bail is to show up to any and all court appearances. If the defendant fails to show (skips bail), then its up to the bail bonds company to track this person down (who is now a fugitive). It can all be a simple mistake on the defendants part; maybe they overslept, maybe they got their court date mixed up. It happens. When you don’t go to court, their will be an immediate bench warrant posted for your arrest. If it was an oversight, it’s usually not a problem. You should immediately contact your bondsman (it’s always best if you show up in person) and let them know you screwed up. 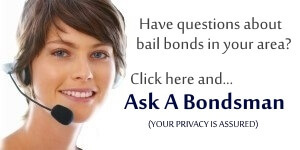 A good bondsman will help you through court and may have to post an additional bond for you, so it may cost you. but thats better than being tracked by a Bail Enforcement Agent! Then again, if you deliberately skipped town and are refusing to go to court, that’s when the bonding company hires a “Bail Enforcement Agent” or “Bounty Hunter”. Much like “Dog The Bounty Hunter” they will go to great lengths to find you and return you to custody. That’s how they get paid. Some bounty hunters work for the bail bonds company directly, while others freelance and that’s all they do, hunt for fugitives. But, don’t believe that hunting fugitives lends a big payoff. It’s time-consuming and often dangerous work. Most Bail Enforcement Agents work out of an office, and some the trunks of their cars. In order to locate a fugitive, you may have to travel locally, statewide, interstate and even international. You’ll also be meeting with law enforcement and government agencies, so dress and be professional. How Do Bail Enforcement Agents Get Paid and How Much Do They Make? The job of a bail enforcement agent or bounty hunter is not easy. You may have to sit for long periods of time waiting for a skip to show their face (prairie dogging), do extensive online research, make dozens of phone calls. You may also have to travel, and travel is the biggest expense. You really have to run the math when deciding to work for a bonding company tracking down their fugitives. The pay may not be great depending on the amount of the bail bond, so you really have to know what you’re in for. If the defendant is still within the same city, it may be just a couple of hours to find him or her. Base that on what you need hourly and it may be a loss. Now figure in if you have to travel to another state, hotel fees, food, gas, rental car, airline tickets, etc. Now factor in what it will cost and how you will bring the fugitive back to the county that’s looking for them. Bail enforcement agents must also know the laws which may regulate your industry, and this is important. You could be arrested by not following the law when you’re in a different city, county or state. The pay for a bounty hunter is roughly $15,000 to $90,000 per year (after expenses). If you’re just starting out, you may want to do bounty hunting part time. Unless you have a ton of connections, can find people fast and get paid, or have a TV show dedicated to bounty hunting – it’s best to start out small. Should You Be a Bail Enforcement Agent? Understand the LAW where you are bounty hunting!